To write on an artist of this significance took a lot of soul searching for me. To even begin to put into words the magnitude of a conversation with a resounding singer/songwriter, poet, rapper and producer Natalie Stewart aka Floacist of neo-soul phenomenon Floetry, I am rendered speechless. Floacist is poetry in motion. She is an eloquent, graceful and learned creature of the spoken word and breathes life into the simple art of conversation. A conversation that changed my perspective on the worlds between artistry and creator, and took on the levels of two inspired women of words. Natalie Stewart has never shied away from speaking the truth behind the breakup of Floetry back in 2006, the truth is she has never really spoken about it much to be honest, focussing more on how she was best left to channel her energies back to the core of what Floetry was initially built up on all those years ago, back in London in the late nineties when she first founded the group. She stripped back to the beginnings whist the he said, she said machines of the media ate into the various speculations surrounding the groups demise. At the end of the day the fork in the road presented itself much earlier than expected with Marsha Ambrosius’ solo singing career reaching greater heights in the US, the sacrificial lamb of Floetry ultimately came to pass, leaving Stewart questioning the very core of her existence as a spoken word artist. I write this piece with the greatest respect to a group that became a huge page of the music diet that fed my soul as a DJ and journalist and above all else woman of the word for many years. This interview shines the light of the core of Floetry, the creation of a group so transcendent it gave the music world two amazing talents in Stewart and Ambrosius and sent the UK neo soul scene into overdrive with the success the group garnered on a global scale for the six years of their reign. It is also a story about acceptance, forgiveness of self and change. Change that inevitably comes with the changing of the guard when two become one, forgiveness of self that one’s goes through when questioning why and how did things change and acceptance, knowing that you have the power of one to be greater than your ever imagine and to realise that you have a legion of devoted fans waiting for your emergence back into a role that was yours from the start. This is the journey of Natalie Stewart, aka Floacist, and how she has embraced solo artistry upon returning back to the UK to pick up her pieces and begin anew. 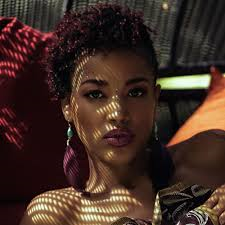 Working with her then husband, Nolan Weekes, who co-produced on her debut solo album Floetic Soul, and produced the entire second album Floetry: The Re-Birth to working with producer Chris “Big Dog” Davis on her new album Rise of the Phoenix Mermaid , it is in the poignant single ‘Soul’ off the Re-Birth album that really speaks volumes. A powerful song that describes how Stewart took the breakup of her beloved Floetry, showing her strength of character and ultimately gaining insight into the inner workings of a woman who thought she’d lost it all only to find her true calling re-emerging. This is a conversation with a woman who knows and owns her truth, an artist who isn’t afraid to bear her soul and a person who accepts the battles of life through her power of her words. This is Natalie Stewart…. 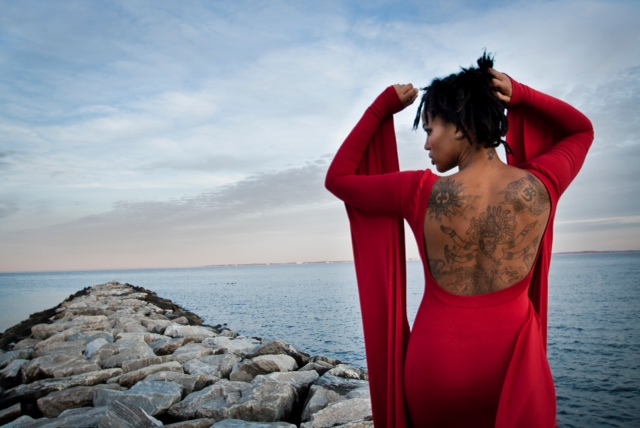 this is Floacist ….. this is her truth! Thanks for talking to me Natalie – such a pleasure to have this time with you. How are you and had has life been treating you of late? Thank you Maxine. I am very well thank you, so happy to talk to you today and thank you for reaching out to talk to me. I have been a fan of your music, message and sound for many years now, dating back to your beginnings with Floetry and now as a solo artist in your own right at Floacist – you have still managed to stay the same humble and grounded woman you have been from the start? Can you tell me what your journey has been like as an artist and a woman over the last 10 years? Thank you for your words Maxine. I am so grateful to you reaching out and wanting to connect with me about my music. I like the fact that you have asked me this question from the viewpoint of as an artist and as a woman because I believe that everything you do as a creative being comes from a point of evolution so the journey for me started really early for me during my school years. I had always envisaged this manifestation of 2 vocal performances performing at the same time and coming together to form a union through music one day, so I guess Floetry was always going to be an entity one way or another. Looking back on my journey as an artist I have been through the so much growth and overstanding of the place I wanted to be and the place I have now arrived at. I had never wanted to be a solo artist and never sought that route out but my journey has brought me to that place and it is here as both artist and woman, I come into one and look to create something that speaks on both levels. It’s been an interesting journey so far I will admit (laughs). 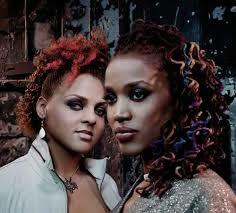 Floetry did to Neo-Soul what Jay Z has done for Hip Hop – changed the game! Did you have any idea what destiny laid ahead when you first embarked on your musical journey and if there was one thing you could change what would it be and more importantly would you? When I became a poet or recognized the poet growing inside of me at the age of nineteen that became a pivotal time for me. I was always exploring the arts and literal world, curious about poetry and music and how it fit into my world. I studied everything I could in the world of performance art. I studied poetry, English, I studies acting but the thing that has been most interesting for me through it all is never allowing the career to superseded the overall journey that is life and being humble enough to be able to deal with the ups and downs of what comes with this life. The beauty in being able to communicate with myself and monitor how well I am coping with the changes that come my way, especially when having to ultimately face the arrival at and acceptance of being a solo artist, which in the beginning was not where I pictured my destiny. I’ve just accepted and submitted to the reality of what it has become and I am wholly present in the now and looking forward to my future with no regrets. The music and sound you create Natalie speaks to so many people on so many different levels – for me I will listen to my Floetry albums when I am going through changes in my life or challenges and I need to reconnect back with my soul. What is the process like for a poet when creating words for the music they assign their feelings to? I think it has so much to do with the construction of the being and I think you are so right when you say that music speaks to people on so many different levels because it does. As an artist you start to realise that what makes us the same is difference and difference is reality you know. I mean for me and my early life being in a military family I moved around a lot so my senses were always aware of my surroundings and the different cultures around me. You know I was born in Germany, I started my schooling in Hong Kong and I had Jamaican born parents both serving in the British Army, so for me culture and music was and always will be an integral part of my overbeing. I remembered listening to reggae music in the middle of Kowloon Bay (HK) and just knowing that was what life was all about – the adventure, the message through song and word and the blending of cultures and freedom of thought. A lot of controversy surrounded the split of Floetry and left many of your fans sad, puzzled and a little confused at times. I have read many conflicting stories through various magazines about the reasons behind you and Marsha Ambrosius parting ways and although I was shocked myself at first, when I look back at what the foundations of what Floetry was built on I began to understand. Your recent track Soul explains a lot about what you were feeling about it all – not in a negative way but in a grown woman business kind of way. Can you share your thoughts on how the he said she said of the split made you feel and how you have dealt with it all to this point? It was a very challenging time emotionally and mentally when Floetry split up you know, and it truly did shock me in a certain way to how it happened and also how the media took our split. Breakups are never easy and the same can be said for friendships, bands, and so on. As people we are a collective force finding our chosen ways through trial and error so when you find what you believe is your purpose in life and suddenly that stops, it shakes you! Interestingly enough it is a very simple explanation at the end of the day in that Marsha (Ambrosius) wanted to go solo, as she had every right to do and signed a record deal with Aftermath Records in 2006, with Floetry performing their last shows together in November of 2006. It is only right to say that thereon out we stopped communicating with each other at that point and over that period I took much needed time to rest and regroup, I wasn’t well and over stressed from what was happening to something I loved dearly and was suddenly out of my control and was coming to an end. Remember I didn’t have any desire to be a solo artist or anything like that so it was quite a challenge. I got to a point of absolute purging and finally submission where I had to ask myself through a series of intense questions like “do you think you’re not blessed now?”. I really had to face the fear of answering those questions to be able to ultimately arrive at the place where I felt that “ yes I am still blessed throughout it all”, and I was at that point able to move on from that time in my life. I have had to learn how to accept situations like these as a part of life and growth and to move on with a grateful and patient heart. I am true believer that the only way to work in chaos is to remain calm and I work very still and very quiet and just let everything negative run off of me. Your solo projects have garnered you a new generation of neo-soul lovers as well as carried over your loyal Floecist Floetry fans as well. How is the transition from being in a group to a solo artist for you? How have you ensured that you stay true to your style and sound, especially with your newer fans? With music being the soundtrack to our lives you know as an artist I believe you have this certain level of excellence to adhere and aspire to. There are some amazing beings whose footsteps you can choose to walk in and bow to a pillar you may create. I think far too often we are tempted to try and use the Arts as such but I don’t believe we can use the Arts. I just feel I have had the ability to navigate between two worlds with the super hype of celebrity to being able to be around my loved ones and live life as an everyday being. Those are the moments that I breath in. Born and raised in London, you captured the hearts and ears of the American soul community on a grand scale. What do you think is the definable difference between the UK sound and that of America when it comes to music production? What do you believe was Floetry’s greatest asset was in capturing the music world’s attention and still yearning for its reunion? Major difference between the UK and the US is numbers – the fact that they can have a sub culture that is underground and millions of people follow that is proof enough of those numbers, then of course you can happen upon success. It was same for us when record labels where talking album sales and possibly going mainstream and I’m sitting there like , what, this is mainstream ( laughs). We’ve sold a million albums and I’m a spoken word artist for London with 7 Grammy Awards – like what do you mean mainstream you know ( chuckles). We had already crossed over more than we cared to imagine. In the UK its always been the focus of the Arts you know and the authenticity of that spoken word realm that was focussed upon more in that in the US for Floetry. For Floetry at that time it was all about timing for us in capturing that global attention. Yes our music and artistry put a new spin on the Soul world but at the end of the day everything we had endured to get to that point was a lesson in universal alignment. What are your greatest inspirations in life Natalie and what gives you that drive to succeed? I am inspired so much by the people I am honoured to call my family, be it my mum, my dad, sister or grandmother. I am really inspired by the things that occur in everyday life and the beauty in things like the inner workings of successful marriages, the human spirit and just success in my spiritual journey. What’s next for Floacist and will we ever see you in Australia for some shows? I have to get to Australia for some shows, yes. I have a few darling family members that live in Australia that I need to visit. I really look forward to coming to that part of the world soon and get some things done. In terms of what’s next for Floecist, well I have my new album “Rise of the Phoenix Mermaid” that has just been released and I am in very much of observationist mode now to see how this vocal work is received by everyone. I also have series of literal works that I am looking to release that is series of poetry books I have written. I have a lot of things I am hoping to manifest over time so I am looking forward to what lays ahead.